Testing of hydraulic fluid throughout an aircraft’s hydraulic pumps, motors, cylinders and actuators to operate wheel brakes, nose wheel steering, landing gear, flaps and slats, flight controls, stairs and cargo doors are all areas Max Precision Flow Meters are used. Various Test stands for valve leakage, mapping of flow profiles, and determining maximum flow rates include our products. Common fluids for these types of application are Skydrol®, Fyrque®, HyJet®, and other phosphate ester based fluids. 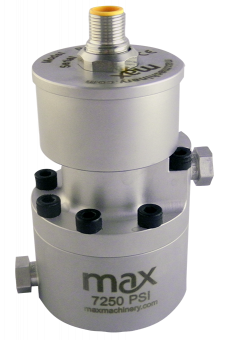 Max Machinery products have the ability to measure any viscosity fluid without a need to adjust the meter’s K-Factor. 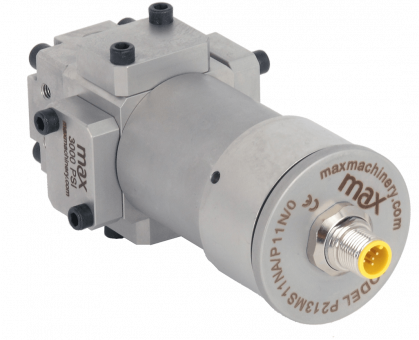 The Max Machinery transmitter technology provides for a more robust and reliable signal, and insensitivity to vibration and flow ripple, plus prevents over reporting due to pulsations in the system. 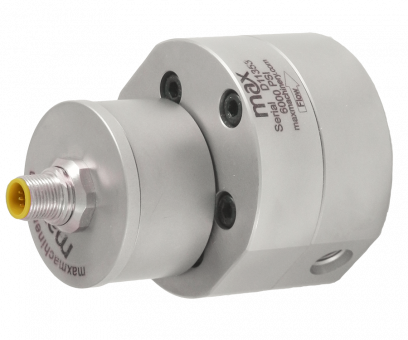 Bi-directional fluid flow measurement is available on all products. 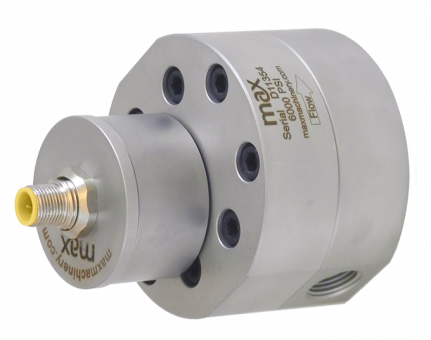 Max Precision Flow Meters provide the operator the ability to precisely test hydraulic components, fine tune flow rates, and create flow control loops within their systems. Standard pressure ratings of 3000 psi (210 bar) and high pressure ratings of 7250 psi (500 bar) are available.